Your home doesn't deserve to be as boring as your landlord. 1. 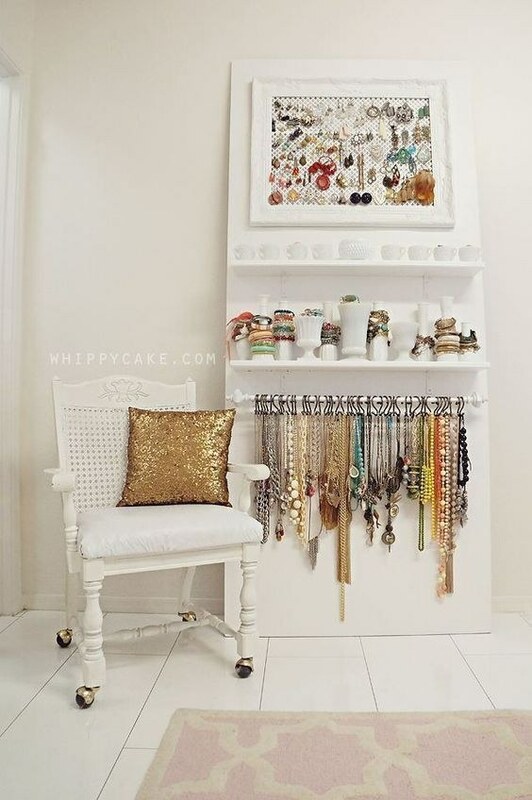 Open storage is another way of aesthetically displaying your stuff. 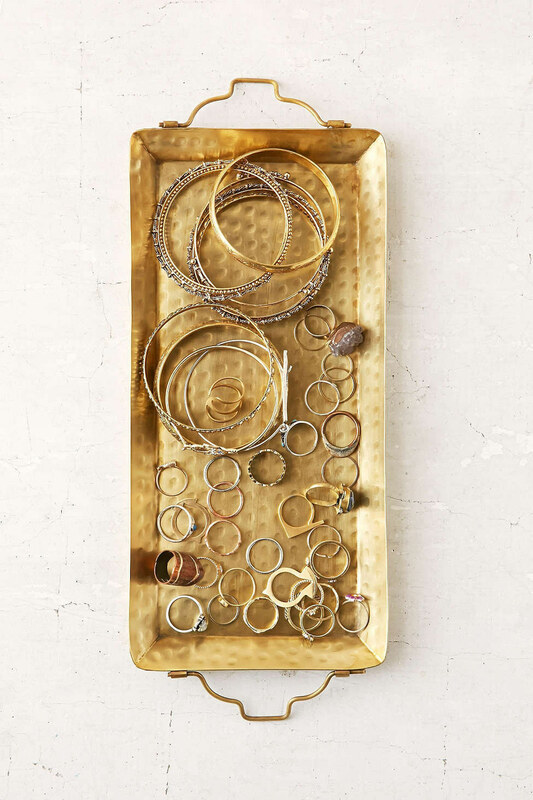 Instructions on how to make a canvas jewelry organization board here. 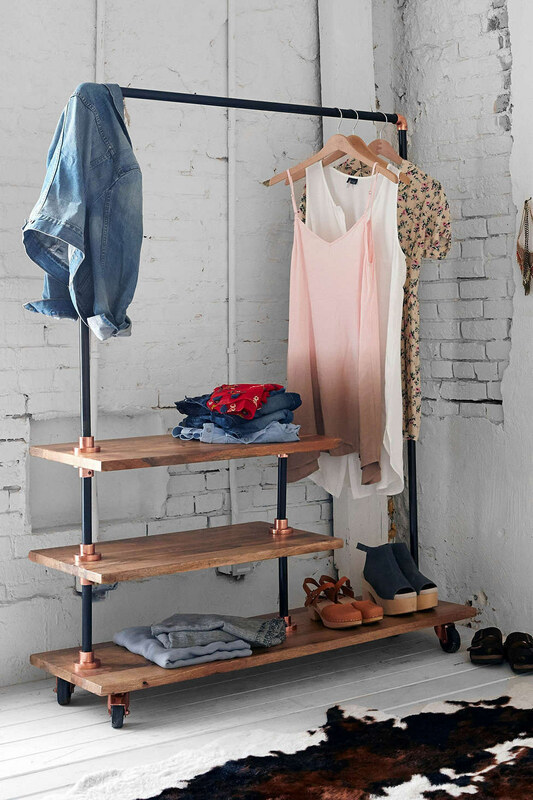 You can get this industrial clothing rack here (or a cheaper version here). 2. Mix up the way you add plants to your home. In addition to placing different plants on surfaces around your home, get creative with how you hang your plants. Change up the containers you use, from watering cans to lightbulbs. And aside from containers, use a variety of plants, especially tiny ones. You can see how to make cute and colorful party plant holders here. 3. If you can't paint your walls, add some color to your furniture. If you don't want to paint their entire piece, you can always accent parts with either spray paint or regular paint. When painting wooden furniture, make sure to 1) clean off any residue, 2) sand everything down, 3) prime it, 4) paint at least two coats with a foam roller, and 5) protect it. See more details here. 4. Add a few pieces of unconventional furniture. 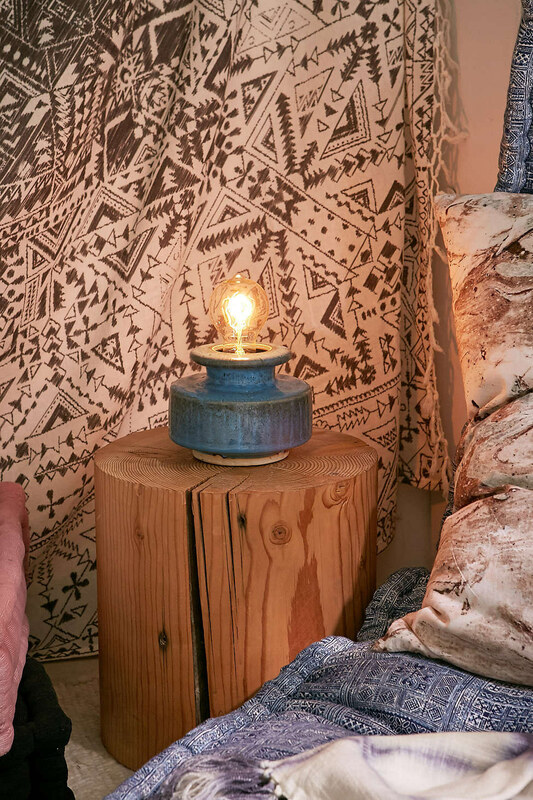 Get some stump side tables here and a speckled ceramic lamp here. 5. Repurpose boxes and crates for modular bookshelves and eye-popping storage displays. Instructions for modular bookshelf here. Boxes are available here and wire baskets here. 6. 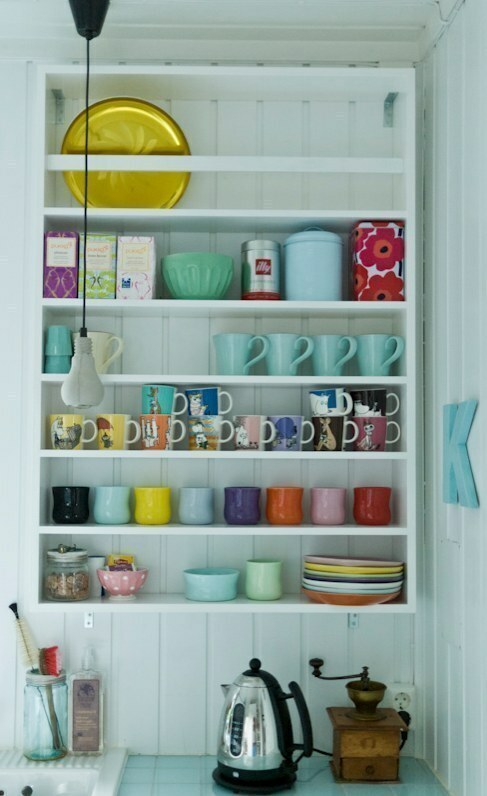 Line the insides of your shelves with patterned fabric or wallpaper. You can use either cotton fabric or peel-and-stick wallpaper. Instructions on lining your shelves here. 7. Or use wallpaper to bedeck other pieces of furniture and really anything else. See how to brighten your storage boxes here, how to add dancing foxes to your dresser here, and how to make your fridge POP! here. 8. Make a few of your own decorative pillows. DIY fluffy shag pillow here and sparkly pillow here. 9. Try a variety of hanging solutions, including tapes, command hooks, and strips. Here are two different methods of hanging clocks or art without damaging your walls. 10. Use clothespins to put up an elegant display of artwork. 11. Or mount your art with hangers. 12. If you don't want to lean your artwork directly on the floor, then prop it up on a stand. This is a great trick for large artwork that may be too heavy to mount. 13. Invest in rolling and/or movable furniture. Mobile furniture offers a lot of versatility for short-term rentals. You'll be able to use the same table or cart around your home for multiple purposes. See how to transform a shelving unit into a transportable one here. 14. Sew, braid, or paint a few eye-catching rugs. One really cheap option is to make one out of a large drop cloth. Or, you can learn how to sew your own here. 15. Use ladders for shelves or racks for a more striking look. Instructions on how to build your own ladder shelf here. Or, you can purchase one here. 16. Easily install an inexpensive curtain with fabric and a tension rod. See how to hang some affordable white curtains with tie-backs here. 17. Zero in on the small things, like these DIY pineapple magnets. Instructions on how to make these here. 18. 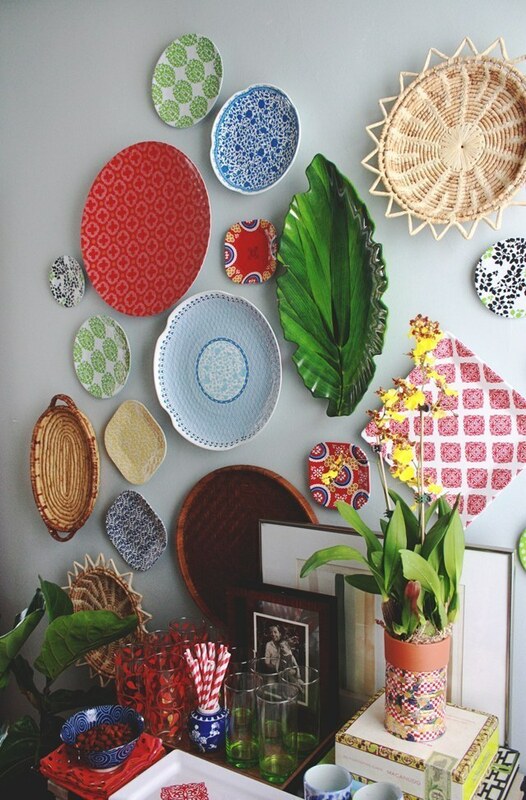 Not only organize with trays, but decorate your walls with them. The best part of hanging your plates/trays is that you'll have more storage space and you'll also be able to access your trays more easily. See how to do this here. 19. Opt for brighter washi tapes that make tape look less tacky. Buy some neon-colored tape here. 20. Go all out with your bed's headboard. If you want to get real fancy, you can build your own geometric wooden headboard here. Or, try something as simple as outlining an imaginary headboard with twinkle lights. 21. 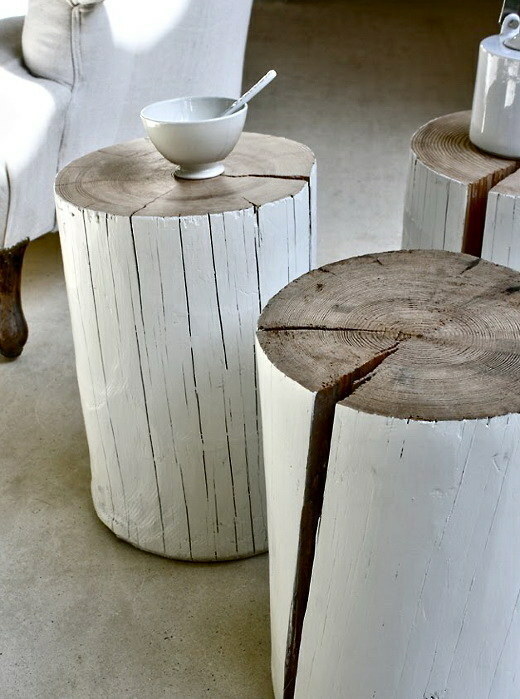 For a luxurious look, try these removable and reusable wooden planks.